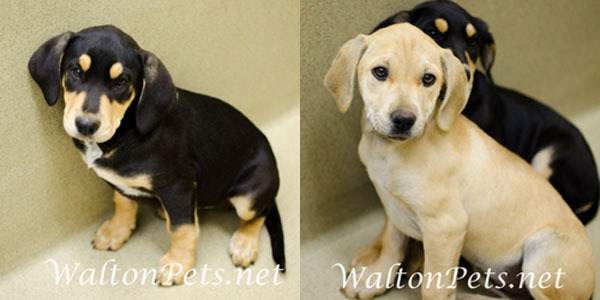 Biscuit (black-and-tan) and Mayflower (yellow) are lab-hound mix puppies who are approximately 3-4 months old and weigh about 15 pounds each; the littermates are available for adoption from Walton County Animal Control. 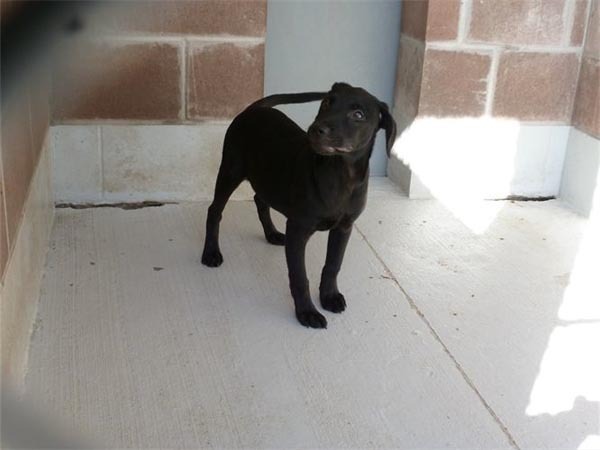 June is a happy , beautiful, adorable, playful, very affectionate lab mixed puppy, who is about 3 months old and weighs around 8 lbs; she is available for adoption from the Savannah Chatham Animal Control. 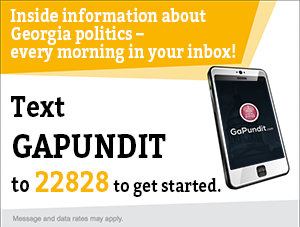 Because GeorgiaDailyDigest.com and GeorgiaPoliticalDigest.com have shut their doors, we’ve started GaNewsDigest.com to provide a wider variety of links to news stories about Georgia politics, business & economy, education and energy issues. The site is updated through the day. On Friday, Governor Nathan Deal announced that he decided against setting up a state healthcare exchange under Obamacare. Deal said the federal government needs to loosen regulations that restrict states’ options. “We have no interest in spending our tax dollars on an exchange that is state-based in name only,” Deal said. “I would support a free market-based approach that could serve as a useful tool for Georgia’s small businesses, but federal guidelines forbid that. Instead, restrictions on what the exchanges can and can’t offer render meaningless the suggestion that Georgia could tailor an exchange that best fits the unique needs of its population. State Senator Vincent Fort (D) doesn’t like anything ever done by any Republican anywhere Governor Deal’s decision. “I bet this crowd, when the feds set up the health care exchanges, are going to howl about that,” Fort said. Fort also said that putting uninsured people in the Medicaid program would decrease the costs that insured patients pay to cover the bills of those who need medical care but lack insurance to pay for it. “It’s unfortunate that the governor’s chosen to put politics over the need of Georgians,” Fort said. The Atlanta Journal-Constitution has a feature on the long, strange trip that is Glenn Richardson’s political career. 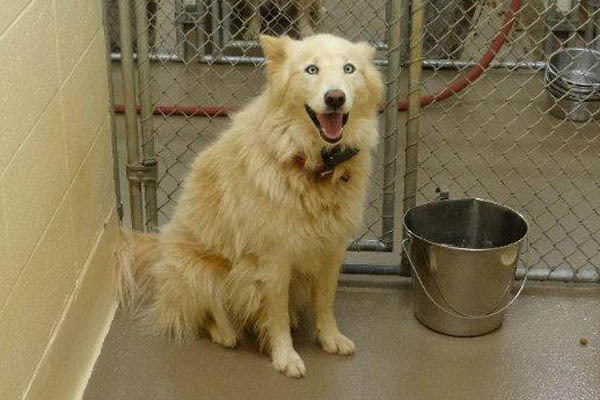 The story is worth reading in its entirety. In Senate District 30, where Richardson failed to make the December 4th Runoff, State Rep. Bill Hembree will meet Carrollton businessman Mike Dugan, and it’s a jump ball. Hembree led the four-candidate field in all three counties of Carroll, Douglas and Paulding, which comprise District 30. He led Carroll with 12,173 votes, topping two Carroll County candidates — Dugan, with 9,703 votes, and business consultant Jim Naughton, who had 5,091 votes. Former Georgia Secretary of State Glenn Richardson of Hiram finished a distant fourth in Carroll County with 3,627 votes. In the total district vote, Hembree got 27,565 votes; Dugan, 13,843; Richardson, 8,467; and Naughton, 7,043. Hembree believes the upcoming advance voting will be important to his chances of winning — he said his campaign determined that he received roughly 15,000 votes during the general election’s early voting cycle. That would account for more votes than he received on Election Day. In 2011, a pair of Senate special elections held in November went into December runoff elections; in SD 28, Duke Blackburn led the first balloting but was overtaken by now-Senator Mike Crane in the runoff and in SD 50, former State Rep. Rick Austin led the first election but lost the runoff to Senator John Wilkinson. There was some spillover in those elections from the leadership battles in the State Senate that may be absent this year, but those examples should serve as a cautionary tale to anyone finding himself or herself in a December runoff. “I could go on all day with examples [of December runoffs that reversed earlier results],” said Todd Rehm. “That said, Bill Hembree still has to be considered the leader in the runoff for SD 30. Hembree’s experience and ability to fundraise, along with the fact that Hembree carried Carroll County, make it his race to lose. But if there’s a lesson for candidates who come in first in November elections and head for a runoff it’s that they can’t afford to take anything for granted and Bill Hembree should be doing everything possible to ensure his victory. Speaking of Senate leadership, here’s an interesting inside tidbit: Senator Renee Unterman (R-Buford) punched above her weight at the Swamp Showdown in Little Ocmulgee State Park, where the Senate Republican Caucus elections were held last week. Renee Unterman, another powerful senator from the Gwinnett delegation, said she was honored to nominate and second Shafer for the position [of President Pro Tem], during a meeting at Little Ocmulgee State Park. She had 19 proxies from the Reform Caucus to support her colleague. “Our Reform Caucus is committed to uniting fellow senators with the lieutenant governor restoring order, transparency, and ethics to the Georgia State Senate,” she said of the group. The appointment is a coup for the county, she said. So, including her own vote, Unterman was voting for an absolute majority of the Republican Caucus. Walter C. Jones of the Morris News Service writes about what changes in Senate leadership may mean for the state. The leaders legislators picked says a lot about them and the coming two-year term of the General Assembly. House Republicans made no changes. Most observers figure they didn’t need any. They had success on Election Day, during the last session passing major legislation and in negotiating contentious bills like the budget and tax reform with the Senate and the governor. His loss continues the concentration of power in North Georgia. With the exception of mid-state residents House Majority Leader Larry O’Neal of Bonaire and Senate Majority Whip Cecil Staton of Macon, the leaders reside upstate. The Senate Republicans did make changes to their leaders. Winning the nomination for president pro tem was David Shafer of Duluth. Other winners are Ronnie Chance of Tyrone as majority leader and Butch Miller of Gainesville as caucus chairman. Consider how their elections consolidate power. Shafer has been a long-time ally of Cagle, who’s from Hall County like Miller and Gov. Nathan Deal. Chance has been Deal’s Senate floor leader. Having the bulk of the legislative leadership living close enough together to carpool to the Capitol could mean favoritism toward the region they all call home. But remember that two of Deal’s top projects are the deepening of the ship channel in the Savannah River and investing enough in Georgia Regents University in Augusta to make it one of the country’s premier medical schools. At the very least, it suggests there will be close cooperation. It may not seem possible to exceed last year when Deal’s signature legislation, criminal-justice reform, passed unanimously and his HOPE reforms nearly did the year before. But other bills ran into less harmony, and Deal and Ralston reportedly held off on more ambitious legislation out of fear of discord, mainly in the Senate. The image in the reflection is coming into focus, and it looks a lot like a soft-spoken grandfather, Nathan Deal. Given Governor Deal’s leadership in bringing jobs to Georgia, and his respectful approach to working with the legislature, this bodes well for our state. State Senate Democrats will meet today to elect their leadership. Welcome to the 2013 season of Georgia Republican Party elections! I’ve already received a piece of direct mail from John Padgett, who is running for First Vice Chair. Here’s my two cents: if you want my vote, you have to ask me for it personally. The pool of eventual voters for Chairman of the Georgia Republican Party is small enough that you can identify frequent flyers from past convention cycles and start calling them personally. The first rule I tell anyone running for office is that the best way to earn someone’s vote is to ask them for it personally; everything else, all mass media, are second-best ways of dealing with the fact that in most elections above the level of State House, you won’t be able to reach every voter personally. This is the most fundamental rule of winning elections. Unfortunately, the last few cycles have seen GAGOP elections take on the aspects of large-scale media-driven campaigns featuring direct mail, robocalls, websites, and mass emails. But it doesn’t speak well of your promise to be the “Grassroots” candidate if you don’t personally contact the actual voters who make up the grassroots, tell them about yourself, and ask personally for their vote. If you want a truly grassroots-drive Georgia Republican Party, join me in declining to vote for anyone who does not ask personally for your vote. Speaker David Ralston will address the Nov. 28 breakfast of the Cobb Chamber of Commerce Marietta Chapter. The Georgia Association of Latino Elected Officials has notified the Gainesville City Council that it objects to the at-large districts in which council members are elected. File under bad headline writing: “Gov. Deal to pay fees in failed ethics complaint” states the headline in the Rome News-Tribune, which might sound like Governor Deal was being fined for an ethics complaint filed against him. But the story is about the State Ethics Commission deciding against making Rome-based ethics gadfly George Anderson pay the legal fees incurred by Deal’s campaign to defend against a frivolous ethics complaint that was dismissed. The Government Transparency Commission voted 3-1 on Friday against making Anderson pay a portion of the legal fees that Deal spent to address complaints from Anderson…. Anderson apologized for some of the language used in his complaints. But he said it’s unfair to ask citizens to pay for lawyer fees when their complaints against public officials are rejected. The executive director of Georgia Common Cause, William Perry, said his group was concerned that forcing citizens to pay would discourage others from filing complaints. Moonshine distillers are making their first batches of legal liquor in this tiny Georgia town’s city hall, not far from the mountains and the maroon, orange and gold canopy of trees that once hid bootleggers from the law. A handful of moonshine distilleries are scattered around the South, but observers say this is the first they’ve ever seen right in a city hall. The distilleries come amid an increased interest in the U.S. for locally made specialty spirits and beer brewed in homes and micro-breweries. The Dawsonville moonshine makers and city officials say the operation helps preserve a way of life. It also carries on traditions of an era when moonshine meant extra income for farmers, medicine for their children and helped fuel the beginnings of NASCAR racing. Last week, the distillery was delivering the second batch of moonshine it’s made to its distributor, which has orders from liquor stores and other businesses around the state. Georgia law prohibits the distillery from selling its liquor at the site, but allows a distributor to ship it to stores with a liquor license, where it can be sold legally. Wood recently got approval from state officials to offer small samples for tourists to taste. State Rep. Rusty Kidd of Milledgeville, who introduced that bill during the most recent session, said Thursday he believes there will be more legislation during the upcoming session that would allow the Dawsonville distillery and others in the state to sell a single bottle of moonshine to tourists who want to take one home. Locally made and locally grown products are a key aspect of the business, she said. A batch of apples fermenting last week came from the north Georgia town of Ellijay, about 30 miles away, she said. The local movement has been a successful one in north Georgia, where several vineyards dot the mountain landscape and offer tastings of wines made with locally grown grapes. In Blue Ridge, at least one apple orchard brews and bottles its own apple and peach ciders. Corn used by the distillery is also grown locally, and the distillery sticks to authentic recipes and doesn’t use any sugar, Wood said.